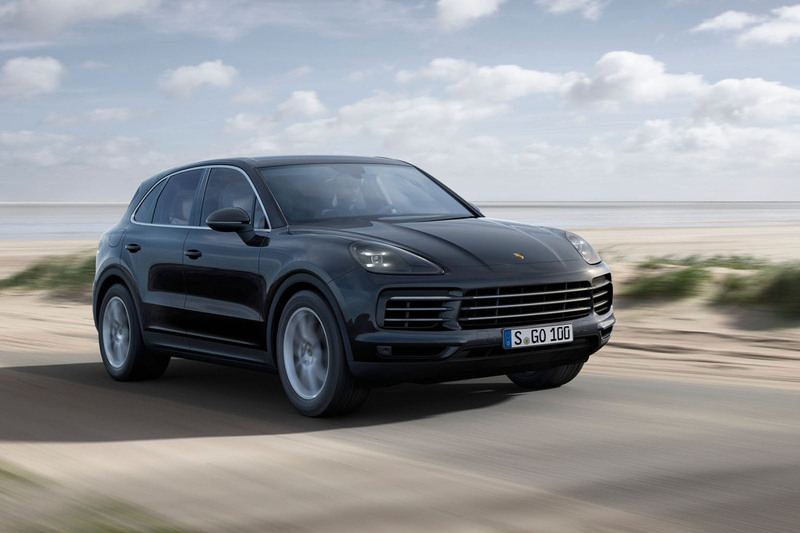 The new Porsche Cayenne has been revealed, with the firm saying that it has taken a "no compromise" approach to the SUV. The third generation Cayenne, on display in Frankfurt, has been thoroughly revamped and re-engineered despite only receiving a mild exterior design revamp. It has a lighter and more contemporary platform, an aluminium body structure, a 48V electrical system and a redesigned interior with added connectivity options. 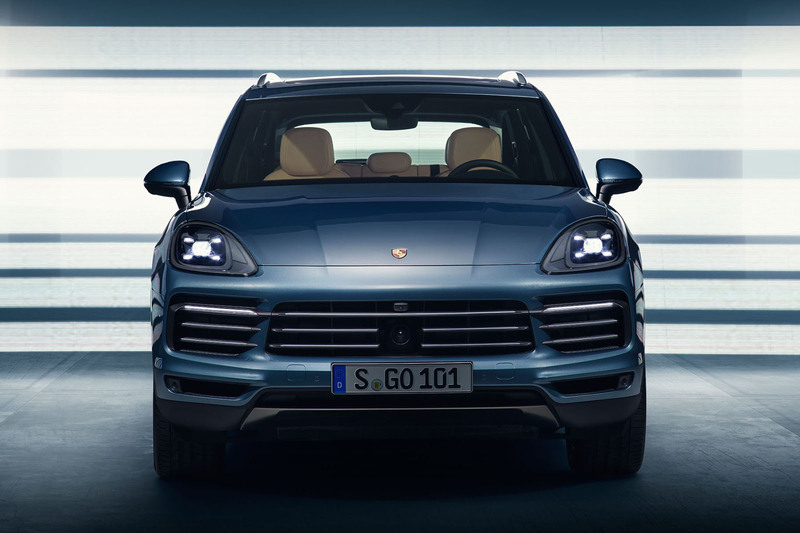 The third-generation Cayenne will make its public debut at the Frankfurt motor show in September, with UK deliveries starting next April. It will face a long list of luxury rivals, including the Audi Q7, BMW X5, Jaguar F-Pace, Mercedes-Benz GLE and Range Rover Sport. The 2018-model-year Cayenne will initially have a two-variant line-up, the Cayenne and Cayenne S. Both run newly developed V6 petrol engines in combination with a new eight-speed automatic gearbox and four-wheel drive that has five driving modes to suit the terrain: On-Road, Mud, Gravel, Sand and Rocks. Autocar has already driven a prototype of the 2018 Cayenne. Read our exclusive review here. The Cayenne runs the same turbocharged 3.0-litre V6 as the new Panamera. With 335bhp and 332lb ft, it delivers 40bhp and 37lb ft more than the previous Cayenne’s naturally aspirated 3.6-litre V6. The new price-leading model covers 0-62mph in 6.2sec (5.9sec with an optional Sport Chrono Package) and has a 152mph top speed. That’s 1.4sec quicker and 9mph more than the old model. The Cayenne S receives a more powerful 2.9-litre turbo V6. With 434bhp and 405lb ft, it packs 20bhp and the same torque as the naturally aspirated 3.6-litre V6 engine it replaces. Porsche claims 0-62mph in 5.2sec (4.9sec with the Sport Chrono Package) and a top speed of 165mph, improvements of 0.3sec and 4mph over the outgoing Cayenne S.
Further models are due to reach showrooms by the end of next year. They include a pair of plug-in hybrids running the same petrol-electric driveline combinations introduced to the 455bhp Panamera E-Hybrid and 666bhp Panamera Turbo S E-Hybrid. There will also be a range-topping Cayenne Turbo sporting a twin-turbo 4.0-litre V8 with more than 540bhp. Because of regulatory problems in its home market, Porsche is yet to confirm any diesel engines for its latest Cayenne. But with existing diesels models accounting for a large percentage of sales in many key markets, including the UK, successors to the outgoing Cayenne Diesel and Diesel S are expected — with the Diesel S running a 416bhp turbo 4.0-litre V8 that’s also used in the Panamera. 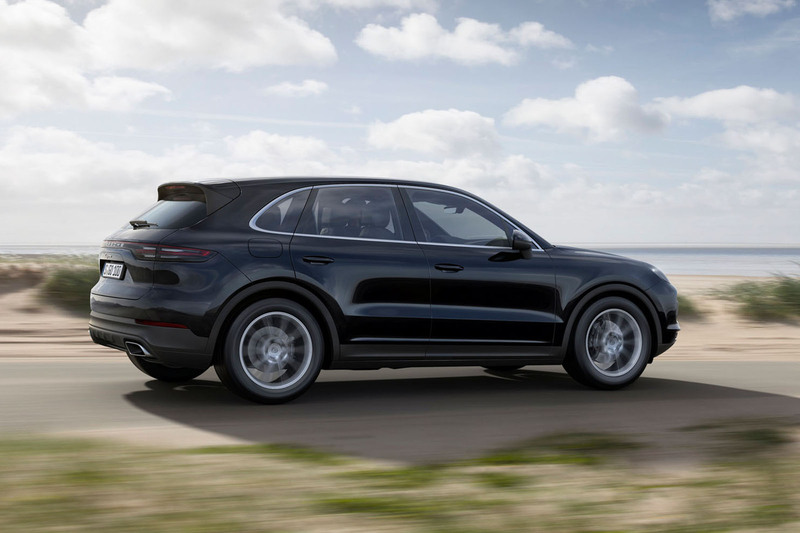 Porsche’s new SUV is based around the latest MLB architecture of sister firm Audi. The MLB platform underpins the Audi Q7 and Bentley Bentayga and is set to be adopted by the upcoming new Volkswagen Touareg and Lamborghini Urus. The new Cayenne is claimed to have shed up to 65kg in its most basic form, at 1985kg, despite what Porsche describes as significantly extended standard equipment. at 1983mm, although height has been reduced by 9mm to 1694mm. Despite the increase in length, the wheelbase is still 2895mm. as a centre console with the same touch-sensitive controls and 12.3in touchscreen as the Panamera. Luggage space has risen by 100 litres over the old Cayenne, at 770 litres. S, Porsche Active Suspension Management with variable- rate dampers. As with all Porsches, there is an optional Sport Chrono Package with four modes: Normal, Sport, Sport Plus and an individually configurable setting. A Sport Response function sets the mapping for the engine and transmission to their most performance-orientated settings. In a further development, the optional Porsche Dynamic Chassis Control (PDCC), which provides roll stabilisation by acting on the roll bars to counteract body lean in corners, dispenses with hydraulic control for a new electrically operated system that’s claimed to provide faster response times. The SUV also receives optional rear-wheel steering. level model is priced from £55,965, with the Cayenne S costing £68,330. So subtle are the differences over the previous model, this looks nothing more than a facelift of the 2nd gen model. Either way it still looks dull and hideous. The Range Rover Sport, Discovery, XC90 and Levante have nothing to worry about in terms of looks inside and out, quality and desirability. Its Porsches subtle, "evolution" and it works for me. I really dont think buyers of the latter have much in terms of imagination, style or sophistication yes, the Land Rover stable have "the best 4x4 by far". But lets be honest, LR have quality issues and they're like headlice in a primary school - everyone has one. As for the XC90, our neighbour has one but if you catch her, she always looks admiringly at our Cayenne and you can read her mind "if only my husband had a little more, omph!" if you know what I mean! And the Levante, you must be its only fan, LOL!! Ha! Cayenne buyer thinks it makes him look like a thruster. Lol! By a mile in terms of looks. People bought the pig ugly one in droves this should be an easy sell. Dramatically improved inside. Which was necessary. Mark 2 Fascia was one of the cars weakest points. Far better than the 'look at my sticky-up tablet' arrangement. As for your comments about looks Roadster - you have actually 'seen' the new Disco haven't you. And the RRS thugmobile. Jesus. The other joke you cracked was about quality. You have actually 'sat' in those vehicles too I gather...? Carry on. Ya see, there are a few like-minded, sophpisticated style gurus out there....spot on! So many are quick to denounce the Cayenne but remember, if it wasnt for this and the Macan, there wouldnt be a 911. Please go and drive one.